Description: Summer time in Hong Kong is very, very hot. 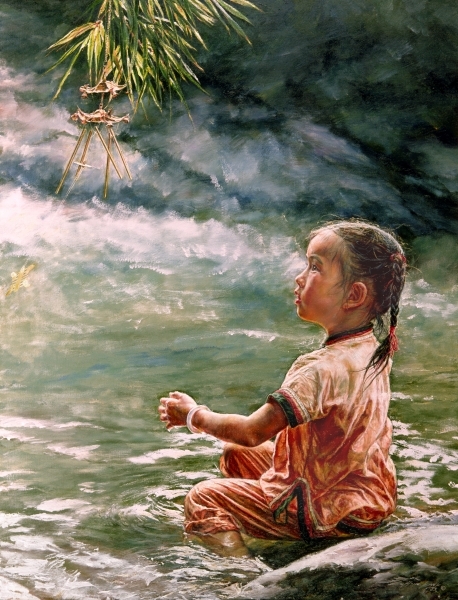 The girl sits in a stream to escape the sweltering heat. She watches her little wind chime as it hangs on a bamboo branch, the summer wind causing it to tinkle and sparkle in the sunlight.